I want to share with you 5 basics that you need to master in order to get the most out of your genealogy hobby. This family history 101 article will cover these basic tasks that any genealogist should know. Over time as you continue to trace your family history you will learn to master these tasks. Please though do not stress about these at the moment. They will soon become second nature to you as your family tree grows. I understand that you may prefer to watch a video instead about what genealogy is all about and what the basics are for this exciting hobby. That is why I have included this 30 minute video presented by Crista Cowan from Ancestry. In the video Crista talks about working with what you know and stepping back one generation at a time. She also discusses how to keep track of what you have discovered and also learning as you progress on your family history journey. Of course I do touch upon some of what Crista says in this guide, as well as other things. So, once you have read the video then please read on! The first step to genealogy is to collect information that will help you create and build your family tree. You will need to find information about your ancestors from a number of different sources. These can range from certificates and documents hiding away in your home to database collections on genealogy websites such as Ancestry. There is a wide range of information that we can find around our homes. My What Sources of Information At Home Can You Find article discusses just what can you find around our homes. The advantage of this source is that it is completely FREE! You just have to look for it. The Internet is also a great resource of information that we can use to trace our ancestry. Genealogy Search Websites such as Ancestry, FindMyPast and MyHeritage contain a plethora of records about our ancestors. These sites will contain Census records, voters list, trade directories, electoral registers, and more. We can also find information through books, visiting local libraries and archives, cemeteries and the area in which our ancestors lived. The great thing that I have learned about genealogy is that new information is always being added. Sometimes though we do need to be patient. So if you cannot find what you are looking for then you can either take a step back and research another branch. When you come back then you might be surprised as to what may be available. Preserving our family history is also important! An important aspect to genealogy is preserving the information that we have found. Through researching my family tree I have learned to write up my ancestry and stories so that it can be passed down to generations to come. It is important to me and many others who are researching our past that what we find is recorded and is passed on. One source of information that the family historian can utilize is by collecting information, stories, certificates, records and whatever else that they can share with us. This is a free method that can be used to build our family tree. Although out of common courtesy you may want to offer something in return. You may be interested to check out a helpful post on Ancestry 101 that gives additional tips for interviewing your relatives. Get ready for your interview! 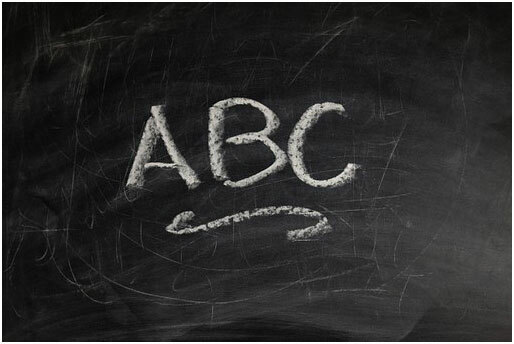 To begin with you will need to decide what kind of interview that you will conduct. This could be telephone, by letter, or email, or the best would be in person. You will need to put the person at ease that you are interviewing. This is particularly true if you are recording the interview. You could record the interview by either using a tape recorder or video camera. You could though simply use pen and paper. Bringing items to the interview can also help you. You could bring photographs that could trigger a memory for your relative. You may also want to bring with old family heirlooms like medals, coins or even letters. Remember though that when you do start the interview that you try to keep to the order of questions that you have in front of you. It’s OK if you digress slightly. If you do feel like you will digress too much then you could come back to that topic in another interview. An important aspect that is part of family history is organizing your research. There is no point collecting all that information if you do not store it properly. Poor storage methods will mean that you will not be able to efficiently access any of your research. 1. You will know what details are missing from your research if your records are in order. For example, you may have a birth and marriage record but not a death. If you can find details quick and easily then you will see what is missing. 2. You can share your research. Part of ancestry research is collaborating with other family members. If your records are ordered then your relatives are only free one branch of your history then you can share with them that branch. There is no point giving them mounds of information and letting them find what they are after. 3. You will be able to know where you left off even if you leave your research for some time and come back to it later. Can imagine coming back to your research and having to figure out just exactly what you have done so far. One way that I have organized my research is to divide my family into branches. So, I will have one folder on my computer just for one branch. In that folder I will have census records, certificates, pictures and other types of records. Backing up your research is an obvious part when it comes to family history. Obviously you do not want to spend a considerable amount of time on your ancestry only for your computer to crash. You don’t want to lose everything! What a heartbreaking situation that would be? Can you imagine painstakingly putting in all that information again? You may have just lost research regarding one family member or group. Or it could be even just one branch. If you’re really unlucky it could be your whole family tree. For this reason it is not only best to backup your files on another device but maybe a third as well. My own research is not only stored in two different areas on my computer, but also on a flash drive and an external drive as well. I maybe over precautious but I fear what information that I will lose. If you have ever lost your work, for whatever reason, then you will need to salvage what you have lost. I have been in that situation before and it is horrible. I knew though where I needed to go to regain what I had lost though. But the time I lost finding it all and typing it in all again could have been used for further research instead. It can be quite exciting to find your ancestors’ records and documents through various sources. Immediately once you have found these you just want to put them into your genealogy program. However, when doing this you may accidentally forget to cite these sources. Citing your sources is just as important as the other tasks. This is a task that must become second nature to you when you are researching your family history. Please be assured though that it will over time. Verifying that the information that we have found is correct. This is important as you do not want to be adding to your tree every piece of evidence that you come across. I have seen many members trees on Ancestry that contain mistakes. Help future researchers. If you show people where you have found the records then other people will be able to check those sources for themselves. They may do this to continue researching a particular branch for example. Your research will look more credible. Following on from the previous point you want to show that you have done your research. This will be evident if you have taken the time to cite your sources. As a result of this then it will look more credible. Your research will be more organized. This is similar to the second point. By citing your sources you will know where you have checked and therefore know what step to take next. As I mentioned at the start of this article these tasks will become second nature to you as you journey through your family history. I did not write this article to scare you. 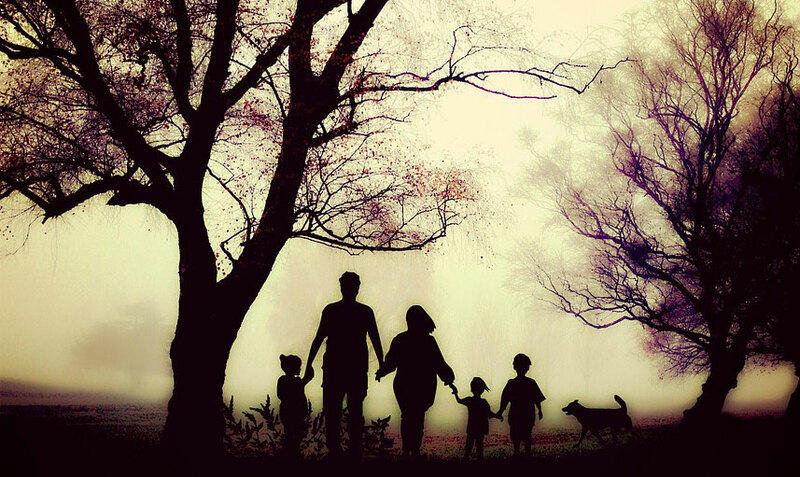 Merely to bring attention to the tasks that you will need to complete as you build your family tree. You will master these as you go along and in time you will produce a family history that you will be proud of. Also, you will create a legacy for generations to come. 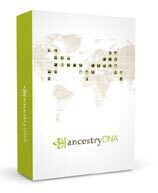 Your descendants will be able to pick up where you left off and trace out your ancestry further. 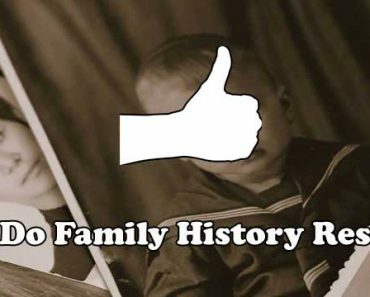 I hope you enjoyed this family history 101 article and what the five basics of this hobby that you need to master. If you have any questions or comments then please leave a comment below. Easy Family Relationship Chart For Your Genealogy Research! 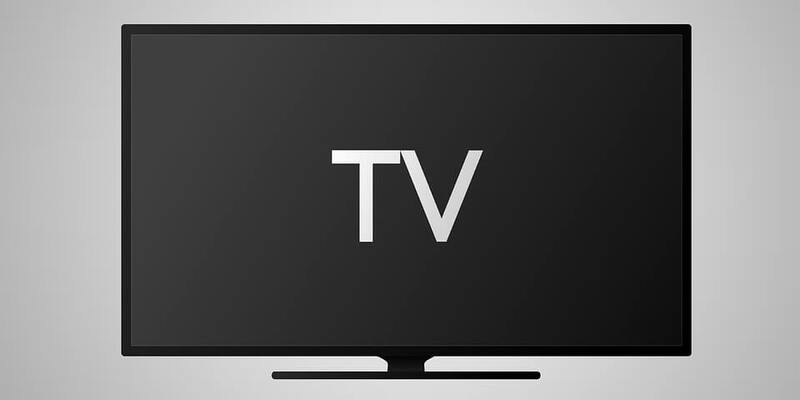 Which Ancestry TV Show Do You Watch? Why Do Family History Research? Family History 101 gives a lot of great information on how to begin. When doing an internet search for my family name (which is unique) I discovered someone had posted some photos of my grandma, dad and uncle, who had passed away. It was surprising and exciting to see. Yes it is simple just what you will find when you do a simple search like that. It can bring up some unexpected results. All of which can help you on your family history journey. Thank you for explaining the simplicity in researching. To discover the previous generations will take a lot of time. However, with a guide and website like this to start up with makes it a lot easier! Thanks for dropping by Hans. Yes it does take a lot of time to trace your family history. But it can be so rewarding. You can find out so much and this can be preserved and passed onto your children. I wish you all the best with your family history research. These are good tips and would enhance any genealogy search. I just wish I could undertake all of these but I live in Malaysia now so it’s kind of frustrating. I was born in Scotland and half of my family lived in the South of England so it was never easy. I’m wondering if social media could be used to connect with family members that we have become separated from over the years. I still have relatives in England but I have lost contact. Is there any type of genealogy program for this? Thanks again Craig for your comments. My family originated in the UK, so as I don’t live there anymore I have to rely on the Internet and especially social media. I have relied on Ancestry to help find records to build my tree. Also, my parents have helped with retrieving documents as well. Ancestry, and other genealogy search websites such as FindMyPast and MyHeritage can in fact help us connect with distant cousins. 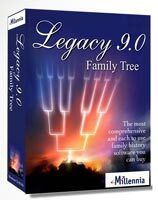 My number one genealogy program is Family Tree Maker, although Legacy is also a top genealogy software program. With regards to social media I have connected with relatives through Facebook. One of which actually put in a search for me in order to connect with my family. It’s just amazing just who we can find online. Hey, I know some of my aunts started a genealogy tree years ago and they discovered a bunch of interesting facts. I believe they stopped their research now, but your webpages gives some good insight. I do casually interview my mom about my grandfather who was a Métis (half native american from Canada), but turning it into a more systematic effort is something I started thinking about. It’s sometimes overwhelming when we get lost in all the facts, stories and documents that we find out about our relatives. So with that in mind it’s always a good idea to organize your research. By doing so you will be more focused. You will know what information you have and what you will next want to research. I am glad to hear that you are interviewing your mom and grandfather. Now is the time to interview them. We can learn so much about our past by taking the time to talk to our relatives. I think I will have to go to Top 20 Family History Interview Questions post. Because I really have no idea for what to ask and I think they can get easily annoyed. Do you think I should finish the interview only in one session or do you think I should do 2-3 sessions? So it can be more “relaxed” and maybe I get more information in the process. Not to sound bias but my Top 20 Family History Interview Questions gives some great insight in how to conduct interview. It will show you the methods that you can use to interview your relatives and friends who knew your ancestors. To be honest you could interview your relatives many, many times. You will just be surprised just how much information crops up during the interview. As this happens it is important to take note of these side stories and anecdotes and come back to these later. So more visits can always be planned. As you said it is important that the atmosphere is relaxed. After all you do not want your relative to feel like it is an interrogation. It should be an enjoyable experience for both of you. I am a novice at researching my family history. My father has done this but as he is aging this may become my job in the years to come. I agree that preserving information about your ancestors is important. Thanks for going over the basics. It is much appreciated. You’re quite welcome David. Don’t worry though when it comes to your time to do the family history. You’re father has given you a solid foundation to work with. That is like what my father did as well. He helped me start off the family tree and now I have added many new branches. Thank you for sharing your story Kevin. That is lovely that you were able to gather so much from your mother before she died. My father too has told me many stories and anecdotes that were passed onto him by his parents. I have to admit to not interviewing a great aunt. The knowledge she had about my mothers family was outstanding. She knew everything. We let all that information just go to waste, when it could have been taped. Great point Owain. Great article. Thanks for your comments Francis. It can be disheartening to us when family members pass on without passing on information to us about our ancestry. I try not to be saddened by this though. All we can do is concentrate on now and do the best that we can to preserve our family history.